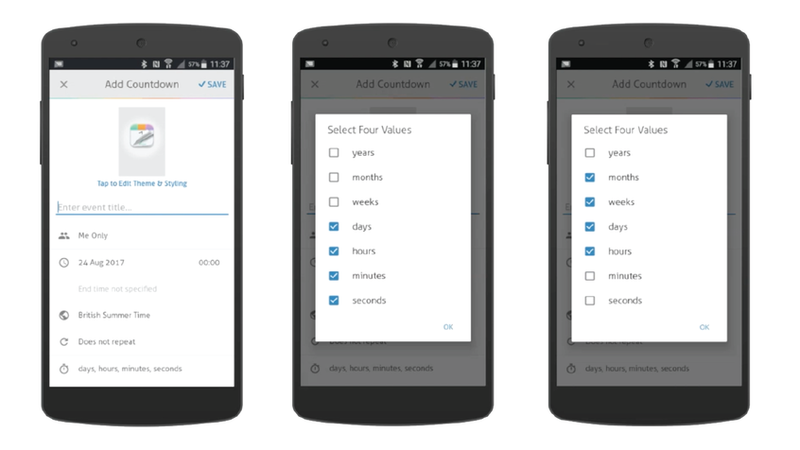 In this blog tutorial we will show you what you can expect on the full version of the app. This tutorial is for Android only. So recently we updated the app to Version 4.03 and we have made some changes to what you can get in the full version. In order to see what features we do offer, for faster reference then head to the menu button (three lines) upgrades and then at top it has all the details. First up just like Version 3.0 we don’t have any ads on it, that’s on all screens of the app. 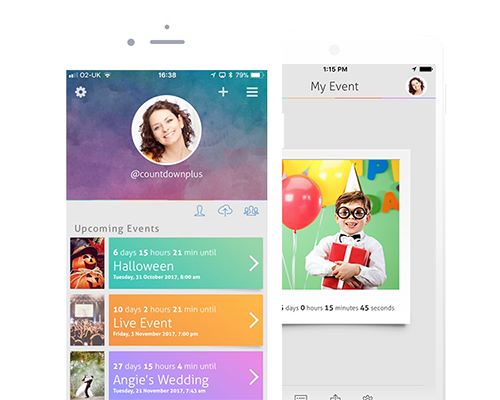 Backup your countdowns and sync to any device, whether that be from iPhone to Android, Android to Android, Android to iPhone. 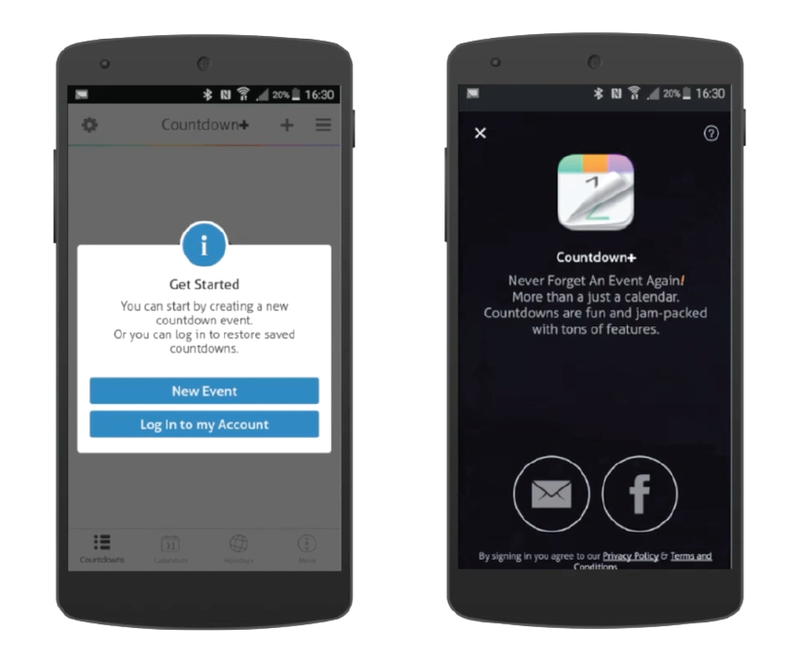 This means that when you log in via email or FB all your countdowns are safe and backed up to our cloud system. Safe if you change phones or change to different platforms. World Traveller mode which lets you view holidays from around the world. 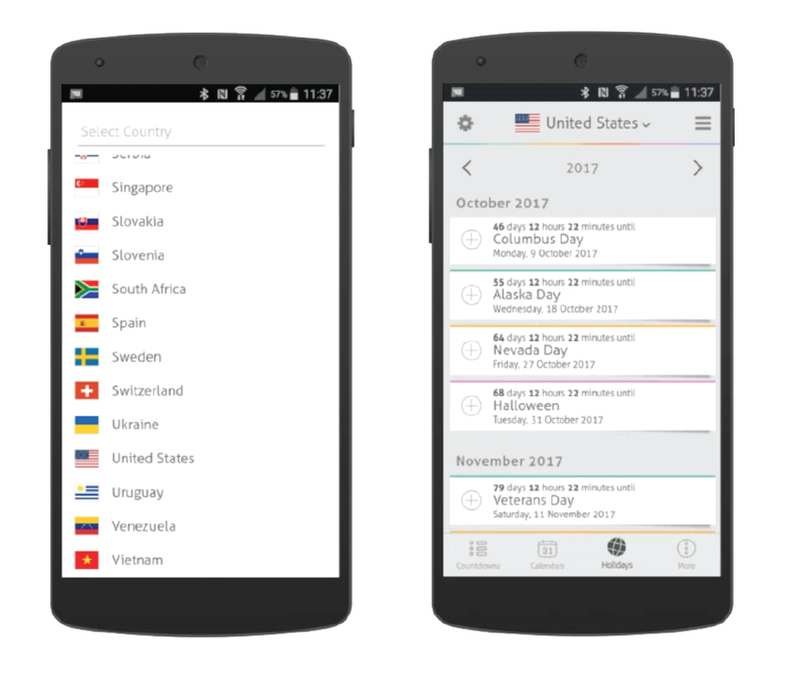 Add a national holiday from any country and add to your timeline. Countdown in years, months and weeks. 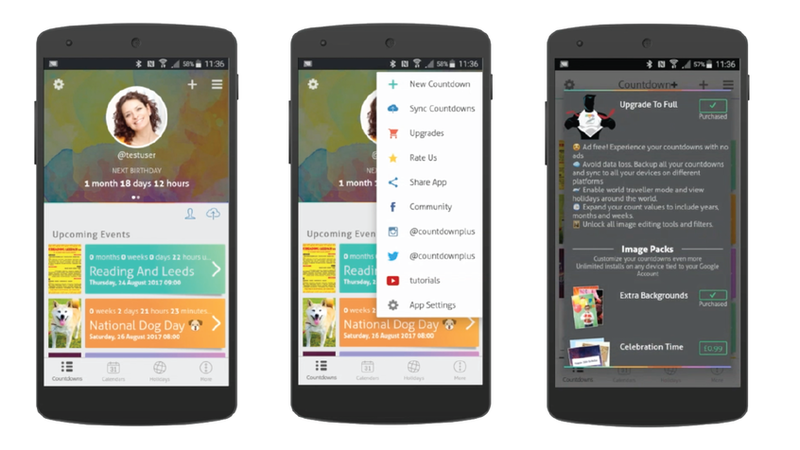 Just like before in Version 3.0 you can countdown to more increments of time on all your countdowns. 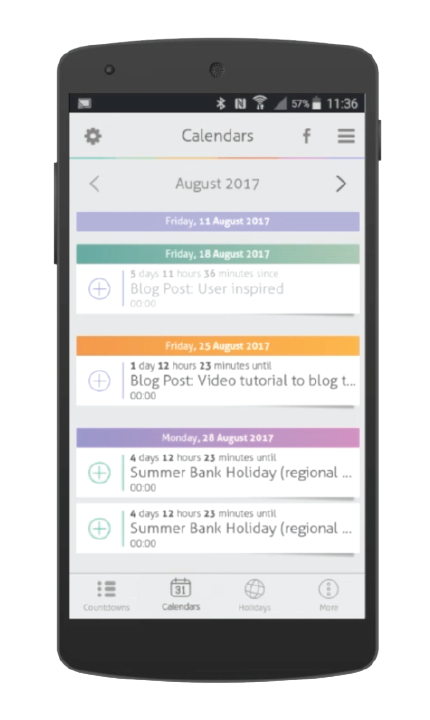 Very handy if your countdown is a year away.